"I like vintage looking stuff. Like 40s, 50s, that's my thing." 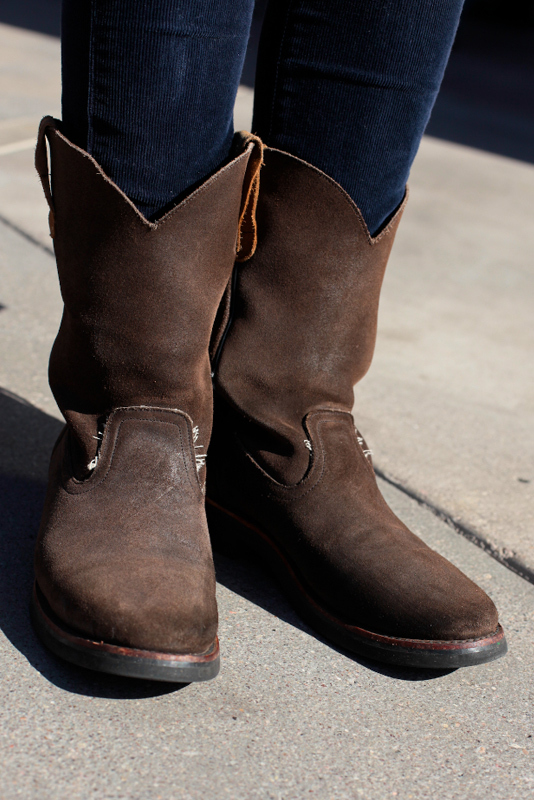 Boots that exist somewhere between biker and cowboy boots. super cute. had to look twice at the first photo: anyone else catch the third arm?